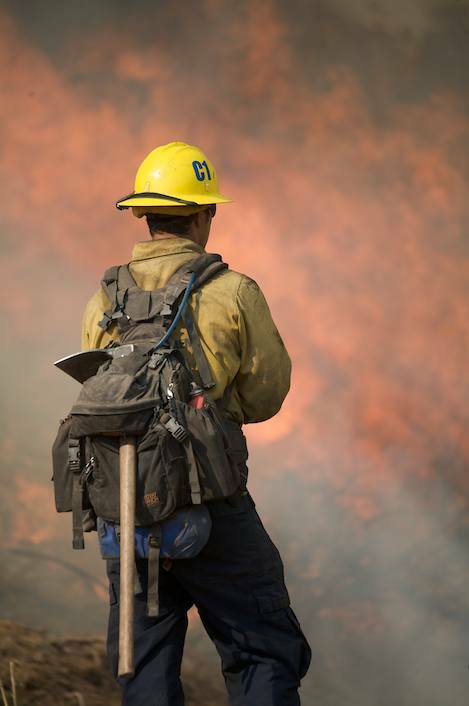 The Sundowners are an Ojai-based, Type II seasonal hand fire crew, comprised of approximately 18 members. They are assigned to the Los Padres National Forest and serve as an “on-call” basis during the May – November fire season performing numerous jobs. Many of their assignments are in remote locations, resulting in significant hiking distances. Duties include hand line construction, mop-up, rehabilitation and forest maintenance, removing fuels surrounding trails, fire roads, towers and various structures, hack away brush, debris digging and fire extinguish. Must complete a pack test. Hike three miles with a 45-pound backpack and must be completed within 45 minutes. Selected recruits will receive 40 hours of training for the season. Show competence in the proper use of a compass and topographical map reading. Must be alert and communicate well under harsh conditions.